Call cords are an essential component of patient care. These tools provide peace of mind in the patient being able to call for help or assistance. BEC Integrated Solutions has been the industry leader for over 20 years in providing reliable and affordable call cords, parts and accessories to over 2,500 medical facilities around the globe. Enhance the care at your facility with our line of call cords. With a rugged and durable design, the DuraCall call cords have been drops, submerged and even driven over by a car. This proven dependability ensures that your patients will be able to call for help should the need arise. These cords are easy to clean, come with an easy-grip pendant and are FDA listed. This award-winning call cord is the only one in the industry with glow-band technology to provide easy access anytime day or night. DuraGlo Call Cords can glow up to four hours in total darkness and it works with any nurse call system. Visibility is made simple with our DuraColor call cords. These high contrast neon coloring provides for easy identification against neutral bedding. Bright red LEDs light up the DuraLight Call Cord when the button is depressed. This energy-efficient call cord requires no batteries and provides a reliable connection for patients to communicate with staff. 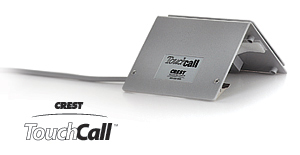 With a clean and basic design, the EconoCall call cord is our most affordable call cord option. The plug-in style will fit most systems while the smooth shape fits comfortably in the hand for easy-use. The cord also features a reparable button for easy fixes. Clean environment is made easier with the CleanCall call cord. The smooth membrane is easier to sanitize than regular buttons and is easily wiped down. The flush button reduces accidental calls while the high-contrast red button with nurse call symbol is highly visible to patients and staff. 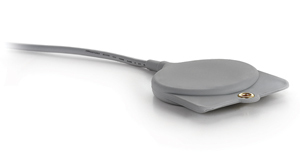 Patients who have difficulty using their hands will benefit from the JumboCall call cords. This large, easy-grip design provides an ideal solution for patients while being compatible for most systems using ¼” phone jacks. 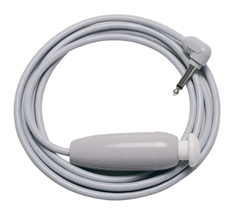 With a sturdy lock button and a durable design, the LockingCall call cord provides patients with an easy-to-grasp call cord. It has a repairable design to help save costs in replacements. Patients with limited hand dexterity will benefit from the GeriCall call cord. This flattened pad is activated by slight pressure from the hand, arm or body and can even be positioned under the patient’s chin. The call cord also features a security clip for use. Patients can be on-the-go with our HandiCall call cords. This solution is ideal for community spaces such as hallways, rooms or other gathering areas. A 4’ locking cord is attached to a sounder with two volume setting and can be mounted on chairs, wheelchairs, tables or with the patient. Flexibility is an important feature in the TouchCall call cord. This cord has a reliable and versatile construction for patients with limited movement. The large, ultra-sensitive touch plate surface can be easily pressed by foot, hand, elbow or chin. The tent design and velcro attachment allow for multiple positioning depending on the needs of the patient. 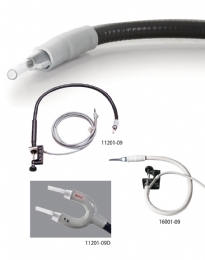 For patients with little or no motor skills, the BreathCall call cord is a device that is activated by breathing into a disposable straw and filter assembly. The flexible gooseneck design comes with a universal mounting clamp. This call cord comes with many of the same features of other call cords but fits into smaller areas. 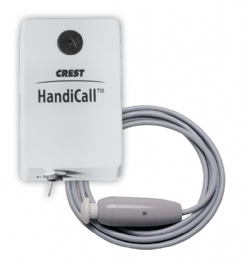 The PressCall is great for patients who cannot operate a regular call cord. This cord is a pneumatic air-activated call cord. 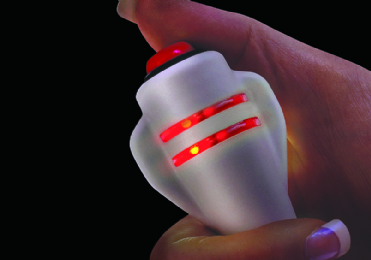 With an oval-shaped, soft vinyl bulb design, the PressCall is simple to use and easily fits into the hand. With a large circular shape and soft vinyl pad, the PadCall call cord is an ideal solution for patients who have difficulty activating standard call cords. Gripping feet prevent the PadCell from slipping. We offer a variety of accessories to help with your call cord system. From nurse call connector cables to desk and hand bells, you’ll find the tools you need at an affordable price. Save time and money with our call cord replacement parts. We have push-button replacements, call cord cables, repair plugs, locking button pendants and more. Each part will help get your call cord back working like new.